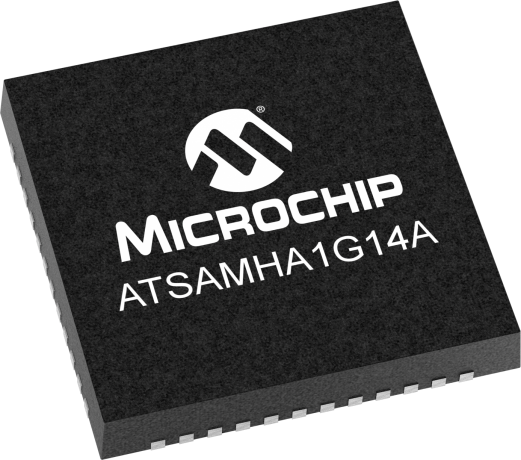 The SAM HA1G14A is a low-power automotive system-in-package (SiP) product using the 32-bit ARM® Cortex® M0+ processor featuring 48 pins with 16KB of Flash, 0.5KB of read-while-write data flash, and 4KB of SRAM. The SAM HA1 devices operate at a maximum frequency of 48MHz and reach 2.46 Coremark/MHz. It also includes a LIN system basis chip (SBC) with a fully integrated LIN transceiver designed in compliance with the LIN specifications 2.0, 2.1, 2.2, 2.2A and SAEJ2602-2, and a 3.3V/85mA voltage regulator. The SAMHA1G16A Xplained Pro evaluation kit is ideal for evaluating and prototyping with the ATSAMHA1G16A ARM® Cortex®-M0+ based microcontrollers. Extension boards to the SAMHA1G16A Xplained Pro can be purchased individually. The ATSAMHA1G16A -XPRO evaluation kit does not include extension boards.